My oldest daughter taught me to make these a couple years ago. They are a perfect way to make fresh bread when you don’t have an oven, like many students. I took these to a potluck recently where we had a beautiful leg of lamb and a couple Mediterranean style salads. They are tasty and easy to make. Heat the milk and butter together just until the butter has melted. Combine it with the flour and salt, stirring to mix. 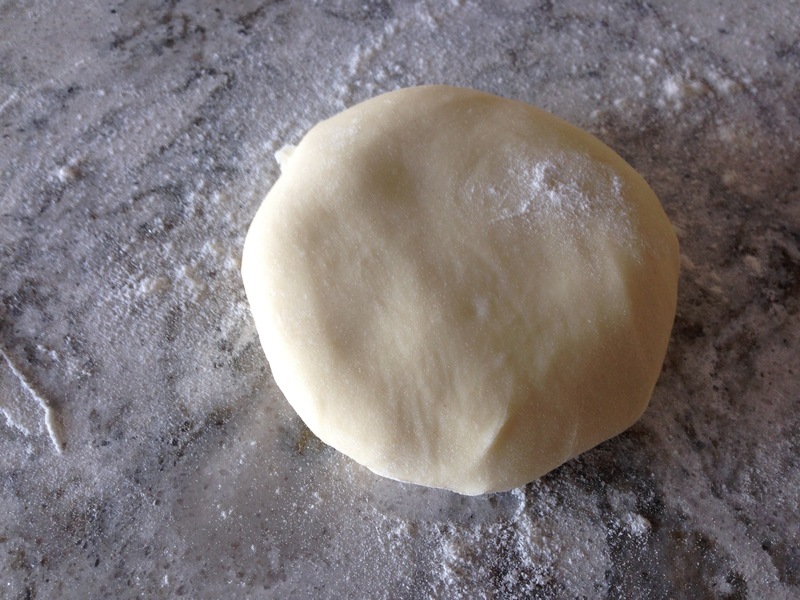 Sprinkle some flour on your counter and knead the dough until it is smooth. Wrap it in plastic wrap and let rest for 30 minutes so it becomes more pliable. 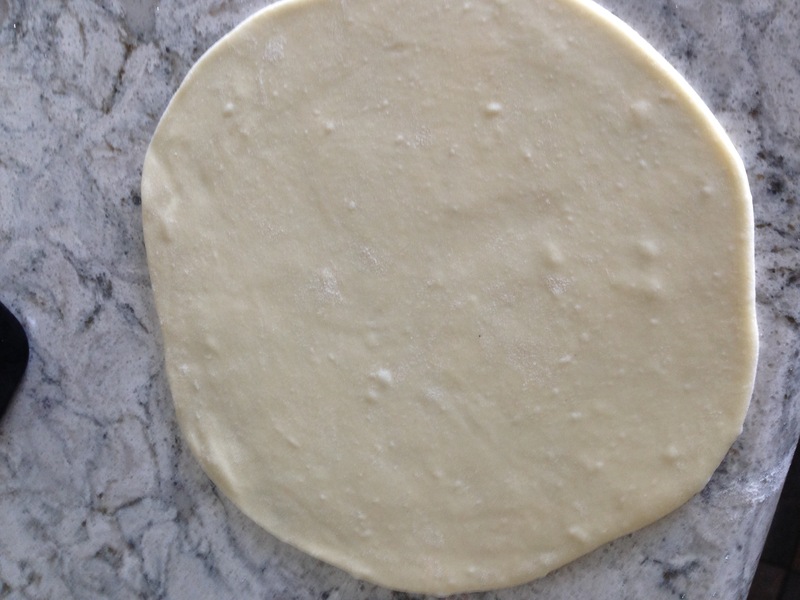 Divide the dough into 8 pieces and roll each piece into a 7″ circle. Oil and heat a cast iron pan to medium heat. Cook your bread one at a time. It will depend upon your heat, but I cooked the first side maybe 2 minutes, and 1 on the second side. 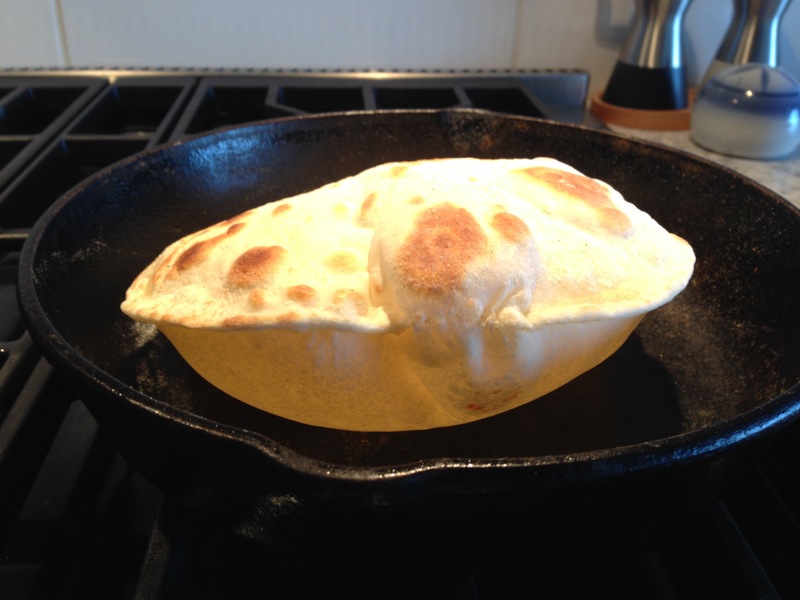 As the dough cooks, steam causes it to bubble up. Anything from a few medium sized bubbles to a giant flying saucer shape is normal. If the pan is too hot, the bread will burn before it has a chance to bubble. The steam will release when you remove it from the pan. I stack the cooked ones in a pie plate, giving each a quick rub with the reserved tablespoon of butter so the breads don’t stick to each other. You can also coarsely grind a bit of salt over them if you like. Yum. 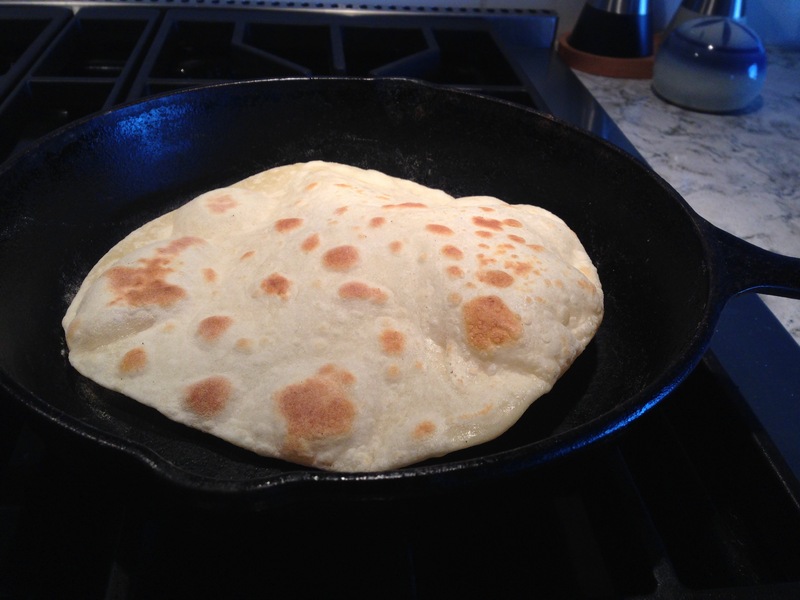 I have always wanted to try making this type of flatbread. I just never get around to it! Haha. I hope you get to try it. I just need to do it instead of THINKING about doing it!